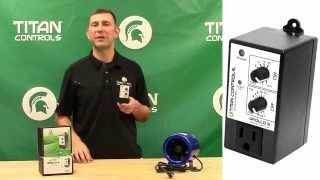 Watch as Mike Gardner explains the features and benefits of the Apollo 2 Recycle Timer from Titan Controls. What is the maximum operating temperature for the Apollo 2? The maximum operating temperature for the Apollo 2 is 122°F. Operating the Apollo 2 in temperatures higher then 122° F will significantly reduce the lifespan of the device being plugged into the Apollo 2.